Its name may be Philippines Learning Commons (PLC), but it isn’t just for Filipino workers in Kaohsiung, Taiwan. It’s for all overseas workers who wish to acquire knowledge, whether for personal development or career advancement. And yes, locals are welcome, too. 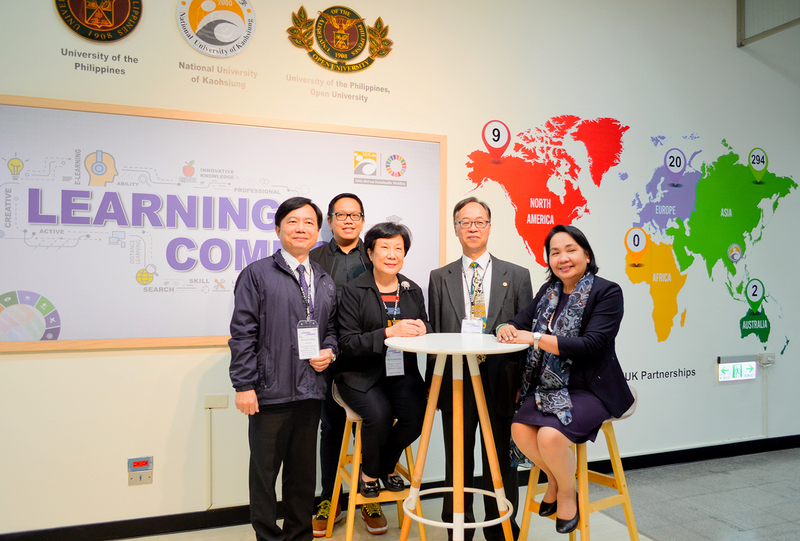 A result of the UP Open University’s (UPOU) partnership with the National University of Kaohsiung (NUK), the PLC was inaugurated in November 2018 at the main campus of NUK. It was a highlight of the UPOU-organized 3rd International Conference on Open and Distance e-Learning, which was held abroad for the first time. 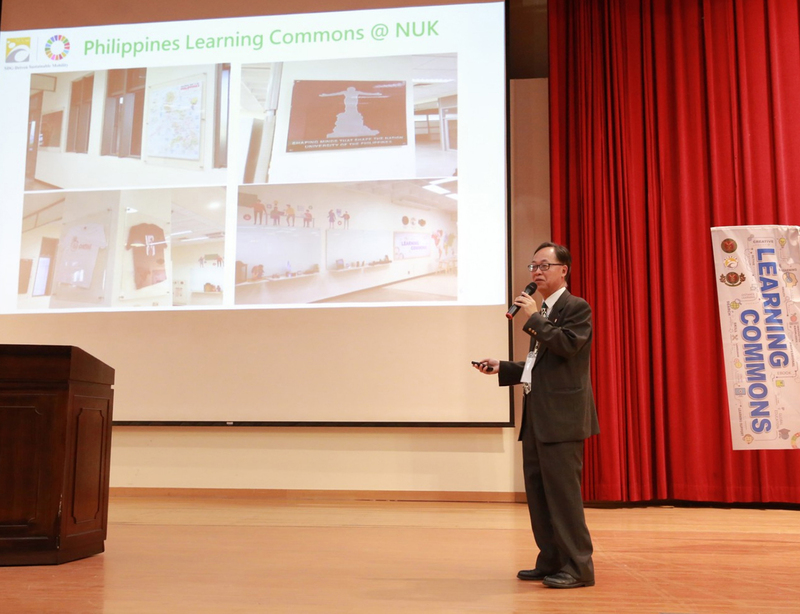 The initiative was also supported by the Philippine Commission on Higher Education, Manila Economic and Cultural Office, Taipei Economic and Cultural Office, Taiwan Ministry of Labor, Taiwan Ministry of Education, and Edu-Connect Southeast Asia Association Kaohsiung. Two months prior to the inauguration, a soft launch was held at the UPOU headquarters in Los Baños, Laguna, where NUK President Leon Shyue-Liang Wang captured the essence of collaboration in his statement: “If you want to go fast, go alone. But if you want to go far, go together.” At the inauguration program itself, he said the PLC sparked hope in people “who didn’t even dream of going to college before”. That spark of hope is what UPOU intends to ignite by widening access to quality higher education, for those who need to work or take care of family, for those who can’t physically attend traditional universities, wherever they may be in the world. As the acknowledged leader in open learning and distance education in the Philippines, the UPOU adds another achievement with the PLC and UP, a milestone in its history. 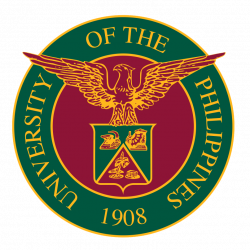 The latest University statistics from 2017 show that UPOU’s student population only accounts for almost seven percent of the UP System’s population of more than 53,547. It is not an impressive figure. But when one considers that UPOU has the second highest student enrollment on the graduate level across the UP System, then its strength as a provider of advanced and continuing education cannot be ignored. 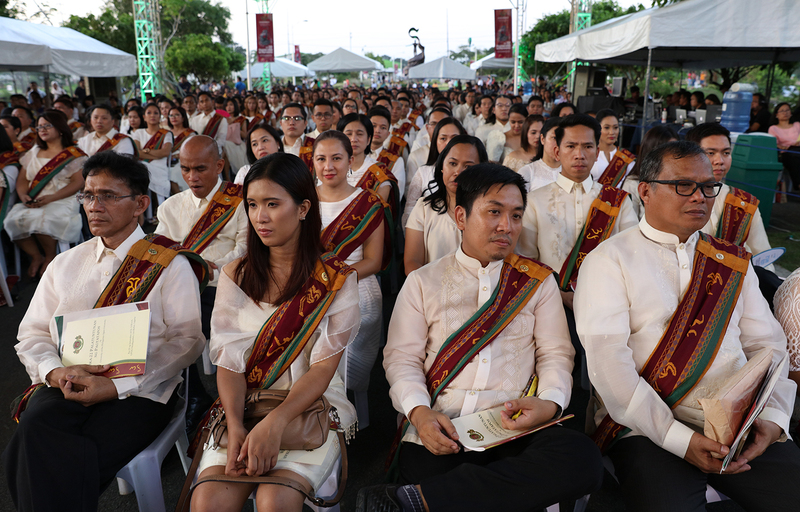 Having global reach means UPOU is no stranger to overseas Filipino workers (OFWs) hoping to earn their degrees from UP. One of them is Joanne Gerio, who graduated with a Master of Development Communication degree in 2018. “How fortunate we are now to live in a world where learning is not only confined within the four walls of the classroom,” she said in her valedictory address. And it is true. In today’s technology-driven world, anyone, not just OFWs, with internet access can avail of UPOU’s learning materials. They can even become UPOU students, whether through its degree programs or its massive open online courses. There is just a little something extra for those in Kaohsiung, Taiwan. With the PLC, lifelong learners not only have a technology-equipped educational facility, but also the space to converge and converse, where they can learn from quality resource materials and from each other.